Suitable for all skin types, mature skin, dry skin, combination skin and sensitive skin. natural pure content, it is 100% organic and a wonderful gift to your body. Argan Oil, Shea Butter, Arrowroot, Essential Oils and Natural Fragrances. 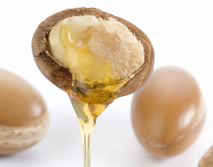 Often called 'liquid gold' Argan Oil is an organic product extracted from the kernels of the Argan tree, which is native to Morocco. Miss Derriere is extremely rich in beneficial nutrients including fatty acids and vitamin E.
Its properties make it particularly beneficial for the skin which makes it a popular cosmetic choice for many celebrities. It's not just for the rich and famous though - anyone can reap the benefits of Miss Derriere for their body. Used as a moisturizer to hydrate and soften the skin Argan Oil is the ideal product to give your skin a natural boost, it absorbs easily, is non greasy and not irritating, making it a great natural moisturizer. 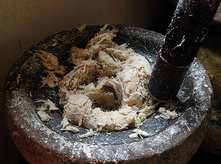 Shea Butter comes from the nut of the Karite Shea tree that is indigenous to Africa it contains vitamins and minerals. It has been used for centuries for its moisturizing anti-ageing properties. Along with vitamins A and E which are imperative to maintaining the elasticity and suppleness of your skin. 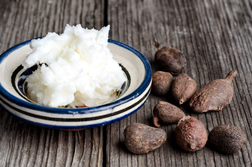 Organic Shea Butter is an excellent moisturizer for dry and damaged skin. It keeps your skin healthy, smooth and elastic. Perfect for blemishes, wrinkles, dermatitis, sunburn, itching and small skin wounds. Miss Derriere contains no additives or chemicals and is 100% organic. carbohydrate, protein and fat metabolism in the body. Arrowroot calms the skin, combined with the other ingredients it encourages a more harmonious complexion, stronger skin surface, promoting the overall health of your skin. When used in cosmetics it enables the active ingredients to penetrate the upper levels of your skin leaving it with a much plumper appearance. Arrowroot is often used in products to make your skin softer and smoother by enabling it to absorb moisture and it is a wonderful benefit to your skin. Essential Oils are prized for their potent fragrances as well as their medicinal benefits and are incredible for many reasons. They can have a rejuvenating effect on the skin. They not only work to help smooth skin, but but assist with cell regeneration. Essential Oils can help to fade scars and improve the tone of aging skin. Also rich in antioxidants, they help to neutralize inflammation and wrinkle causing free radicals. Natural Fragrances contain non toxic ingredients that pose no risk to your body and contain a variety of safe and pleasant ingredients. Organic fragrances bring emotional and physical healing properties, calming, relaxing and lifting your mood. Because of their botanical formulas, natural fragrances have a greater affinity with your skin and they tend to wear better. By using whole plant essences in natural fragrances you are supporting the family farms, the wild crafters, and the artisan distillers throughout the world. Its antioxidant effect can help to promote a younger healthier looking skin, and ultimately, that's what everyone is aiming for, it can help to restore elasticity, leaving skin feeling plumper, softer, refreshed and younger. Miss Derriere is specially formulated for your skin, rejuvenating and enhancing your beauty. The only cream you'll ever need.